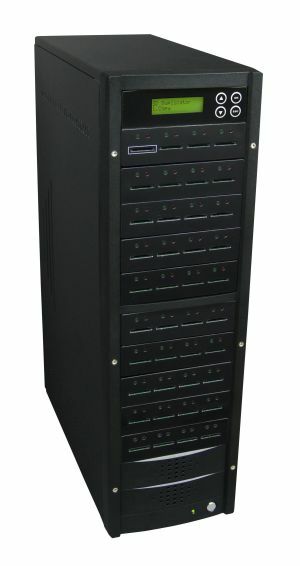 Simply the best solution for large, unattended disc duplication runs is the Microboards HCL Autoloader. 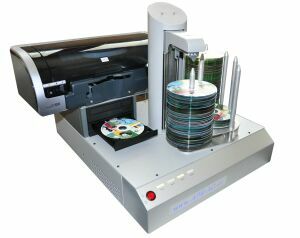 Capacity, reliability, and throughput, found in a record-only duplication solution with the ability to queue multiple masters - that's the HCL DVD CD Autoloader. 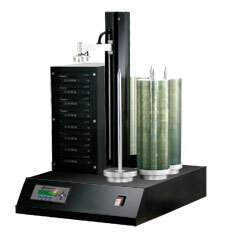 State-of-the-art 8 drives allows the Microboards HCL Autoloader to record up to 56 CDs or 40 DVDs per hour. Get rid of the clutter in your production area - the Microboards HCL Autoloader is a self-contained unit with no external PC or mess of wires. Simply plug in the CD DVD Autoloader and start duplicating! Pioneers in the field of disc technology, Microboards Technology has a long history and considerable expertise when it comes to delivering innovative, high-quality products and solutions customers can count on. The Microboards HCL Autoloader is one of those products because nothing else offers the capacity, reliability, and throughput as the HCL Autoloader. When you need to burn a lot of CDs or DVDs, and using a push-button duplicator tower isn't feasible, the HCL Autoloader is the simple choice. Fitted with 8 of the latest spec, high speed drives and featuring a staggering 1,000-disc capacity. Innovative solutions to common industry problems are corrected in the HCL Autoloader, including a robust disc counter that tracks the number of good and bad discs. Store up to 500 GB of disc images on the HCL's dynamic hard drive, and queue multiple jobs for uninterrupted disc production - don't let a bad batch of discs drag down your production. A sticky disc separator option provides an added layer of insurance by helping separate those annoying sticky discs, which normally is a fatal error for unworthy automated production systems.